Yesterday evening I wanted to do some imaging after an astro society meeting. Because of some problems I was only able to start after 1,5 hours with imaging. When I finally got my first exposure clouds came in. After 1 exposure it was already over. 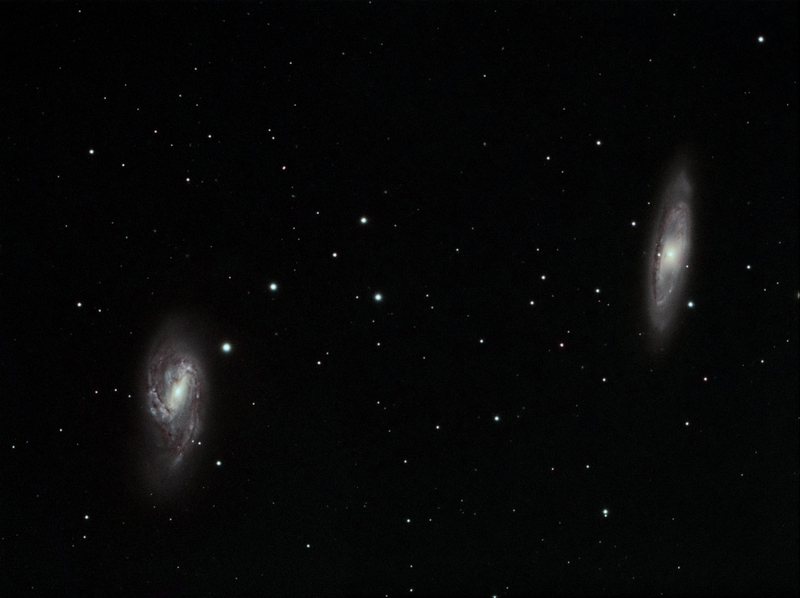 I didn’t want to give up, so I set up for imaging M65/M66 with only 1 minute exposures. After 4 hours I got 29 usable images through gaps in the clouds. Altogether the result didn’t disappoint me. Now let’s wait for better wetter to get more exposures.